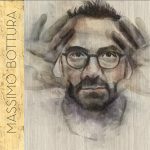 Massimo Bottura’s individualist approach to the art of cookery fascinates and inspires, but also polarises and bemuses people – just like great art and powerful stories. Bottura, born in 1962, opened “Trattoria del Campazzo” in his home town of Modena, Italy in 1987, attracting the attention of renowned chef Alain Ducasse. In 1992, he moved to New York, where he met his future wife, curator Lara Gilmore, who became one of the main influences on Bottura’s cooking style, along with French haute cuisine. “Massimo Bottura likes to tell stories. He sees images or has a certain smell or a specific taste in mind or remembers a scene, where other top chefs follow a philosophy or believe in a system,” the ECKART jury wrote in its decision. In 1995, Bottura opened “Osteria Francescana” in Modena, for which he won his first Michelin star in 2002 and a second in 2005. Tradition, contemporary art and the highest level of quality inspire his creative and innovative dishes. According to the jury, “Bottura offers a deeply humanistic cuisine at the highest level that recognises and respects tradition and uses the latest techniques to create a poetic experience for all the senses. No one pursues this concept as consistently as he does.” In 2011, “Osteria Francescana” earned its third Michelin star – for a cooking style that combines a down-to-earth approach with the avant-garde to modernise the cuisine of Emilia Romagna at the highest possible level with poetry, creativity and intelligence. The Troigros family has defined, and continues to define, fine cuisine unlike almost anyone else in the world – and seems to have the magical gift of passing on traditions from generation to generation, by fanning the flames and discarding the ash. Brothers Jean (born in 1926) and Pierre Troisgros (born in 1928) were both apprenticed at the best establishments in Paris. They went on to make the “Hotel Moderne” opened by their parents in Roanne in 1930 famous as “Les Frères Troigros”. In 1955, the restaurant earned its first and, in 1965, its second, Michelin star. The Troigros brothers became leading exponents of “nouvelle cuisine”, with their restaurant maintaining its top three-star Michelin rating since 1968. With deep roots in the region, the family offers a modern, seasonal and cosmopolitan cuisine unconcerned with short-lived trends. After training in Grenoble, Pierres Troigros’ son Michel (born in 1958) travelled the culinary world with his wife Marie-Pierre. Upon returning to Roanne, he worked alongside his uncle Jean until his death in 1983 and has run the family business together with his wife since his father Pierre retired in 1993. 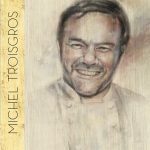 His brother Claude (born in 1956) manages the Troigros restaurant in Rio de Janeiro and other outlets in the United States, while his sister Anne-Marie runs the Restaurant Gravelier in Bordeaux. The children of Michel and Marie-Pierre Troigros – the fourth generation of Marion (born in 1983), César (born in 1986) and Léo (born in 1993) – are currently completing their training. 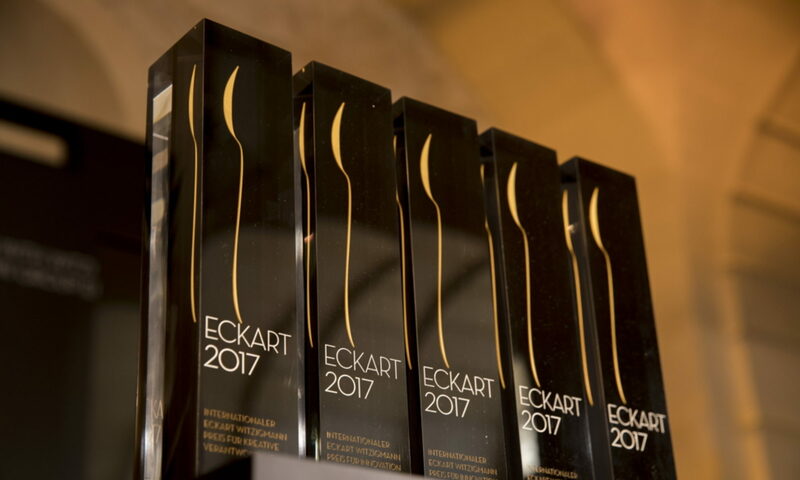 “Uncompromising on quality, innovative in their methods and with tremendous respect for the guest, the Troigros family stands for a unique combination of abilities and virtues,” according to the ECKART jury. Hospitality, culinary art and viniculture are the pillars of contemporary German gastronomy. 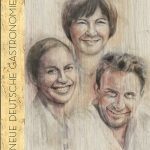 The award therefore goes to Ulrike Thieltges, Melanie Wagner and Klaus Erfort, as representatives of the best virtues of the new German gastronomy. Ulrike Thieltges: the soul of hospitality Warm hospitality with the utmost discretion is a good way to describe the work of Ulrike Thieltges. Together with her husband, Helmut, she has made Waldhotel Sonnora in the Eifel region an oasis of indulgence, boasting three Michelin stars since 1999. Thieltges is more than just a congenial host – she is the “soul” of the establishment, translating the concept of hospitality into reality in exemplary fashion. The hotel’s unique location in the lovely Eifel countryside, its warm welcome and fine dining ensure a fantastic experience that guests will remember. Klaus Erfort***: truth on a plate Klaus Erfort (born in 1972) has a passion for combining traditional and modern elements in perfect harmony. His “Gästehaus Erfort” in Saarbrücken, which opened in 2002, earned its third Michelin star in 2008 – the same year that restaurant guide “Gault & Millau” named him chef of the year. “Truth is presented on the plate,” says Erfort, who believes in a modern, purist cuisine that refines tradition to create a supremely elegant and pleasurable experience. Melanie Wagner: an advocate for wine Few can match the professional expertise of Melanie Wagner. The daughter of restaurant owners, Wagner served her apprenticeship as a winegrower in the Kaiserstuhl region, followed by a spell as assistant sommelier at Franz Keller’s “Schwarzer Adler” restaurant. Since 2005, as the restaurant’s head sommelier, Melanie Wagner has not only helped wine connoisseurs from around the world choose from restaurant’s legendary wine menu, but often dazzled guests with suggestions to expand their culinary horizons. This knowledge, and the ability to share it in a calm and charming manner, make Melanie Wagner an extremely exciting and inspiring advocate of modern wine culture. 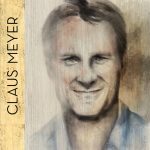 “Good food is meant to be shared” – this is the motto according to which Claus Meyer is changing the culinary world. The co-founder of the restaurant” Noma” in Copenhagen, grew up in a family where food had to be fast and inexpensive. “By the time I was 15, I already weighed 98 kilos,” he remembers. However, he discovered a totally new attitude to enjoyment, food and life in general as a teenager in France, working for a baker and “traiteur”, or caterer, who was like a second father to him. Aged 20, Meyer (born in 1963) returned to Copenhagen with the ambitious aim of changing food culture in Denmark. He studied at the renowned Copenhagen Business School, where he is now a professor, and founded more than a dozen companies, including restaurants and delicatessens. He also campaigned for better school meals and became a TV chef. By 2002, he employed more than 500 people. In 2003, he opened “Noma” with chef de cuisine Réne Redzepi and other partners –heralding the birth of Nordic Cuisine. As well as experimenting with new and radical regional cuisine, “Noma” also provides Meyer with a platform for social commitment. His mission: to change people’s understanding of nutrition.